As events continue to unfold in the manner in which fallen music icon Moses Sekibogo, aka Mowzey Radio, was injured later leading to his death, police in Entebbe earlier today visited the scene of the brawl to get a feel of what could have transpired that day. 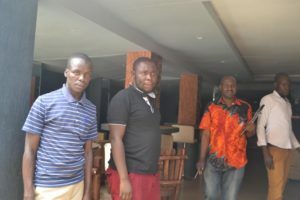 Together with the proprietor of De Bar in Entebbe, Mr George Egesa, police criminal investigators visited the place and heard the proprietor of the now closed bar narrate what transpired on 22 January. Mr Egesa is currently under police cutody at Entebbe Main Police Station. Similar to what other witnesses have narrated, Egesa also says they were drinking with the deceased singer when he turned rowdy, pouring around contents of a whisky bottle which Egesa had bought him. Egesa continues that it is at this point that Pamela, the friend who had invited Radio to De Bar, led him away from the table to the exit, leaving the rest of the group seated. 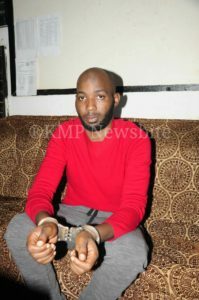 Mr Egesa has denied claims making rounds that Godfrey Wamala alias Troy, the main suspect, who was arrested on Sunday in Kyengera was a security personnel at the club. Egesa says a few moments later he was told that Radio had been involved in a brawl. Egesa says he was escorted by his friend Xavier Rukere to police to record a statement, but after recording the statement he and Rukere were put under arrest at the police station. “Two days after my arrest Pamela came to Police and showed me the photo of that guy (Wamala), he is only a patron here, he even has unpaid bills at the bar,” he said.